The Download Tool can download multiples instances of PDB data files, individual sequence data files, and individual ligand data files. 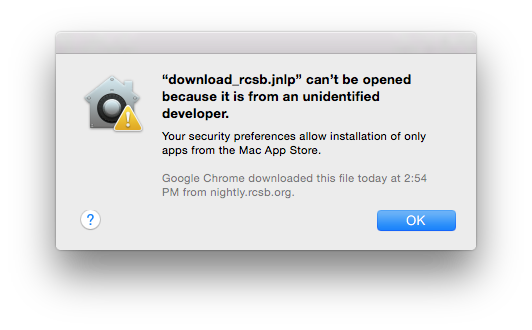 After entering the IDs of the files to download, select the button and a file called download_rcsb.jnlp will be downloaded and saved on your computer. 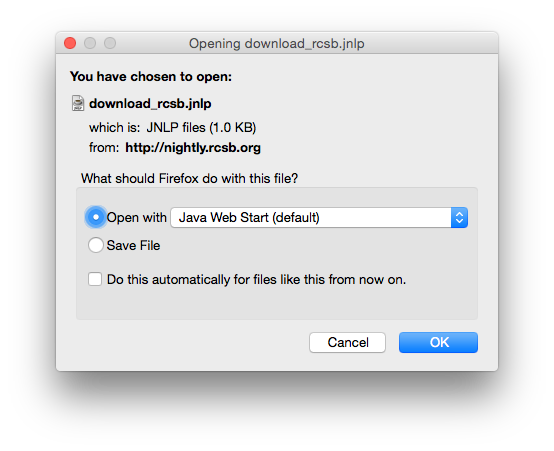 Choose the option "Open with Java Web Start (default)" and check the box "Do this automatically for files like this from now on". 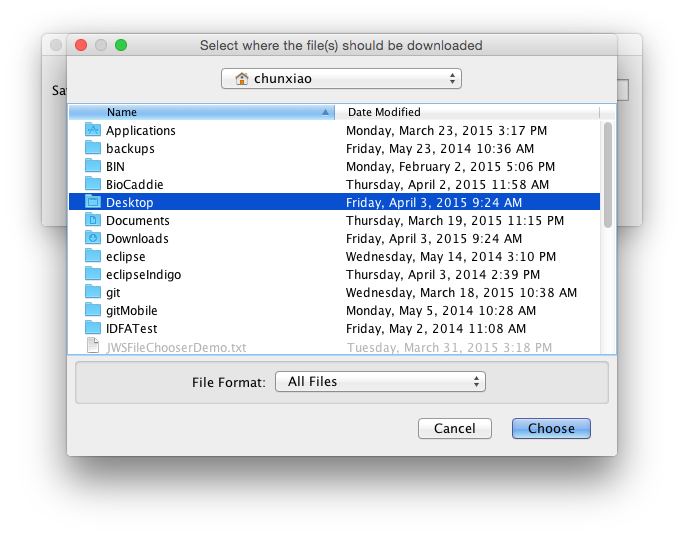 Then click OK.
Click Run on the RCSB Download Application window. It will guide the download process. A progress bar will displays 100% complete once all files are downloaded. Click Done to end the process. Based on the security settings on your machine, the following dialogue may appear. Please change the settings accordingly. 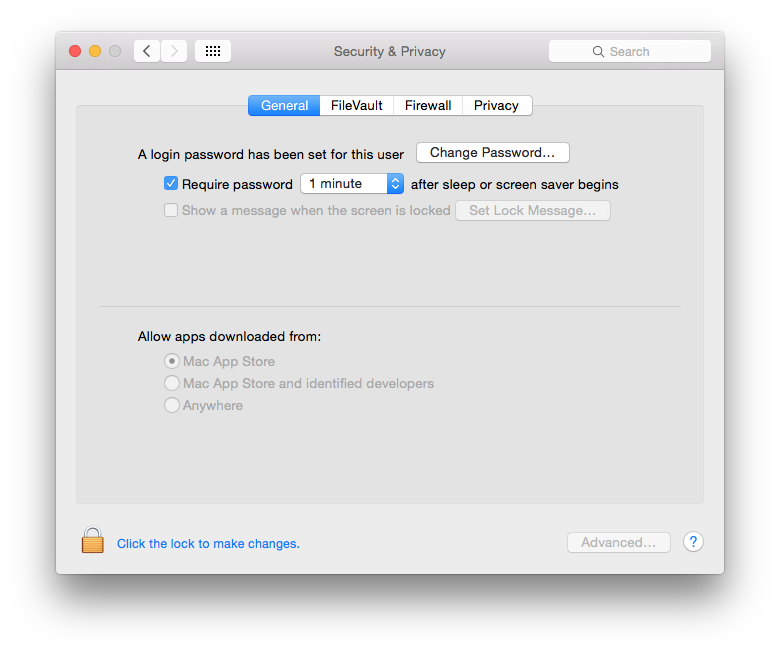 The next images are a step-by-step guide on changing Security & Privacy settings and launching the Download Tool for Mac. 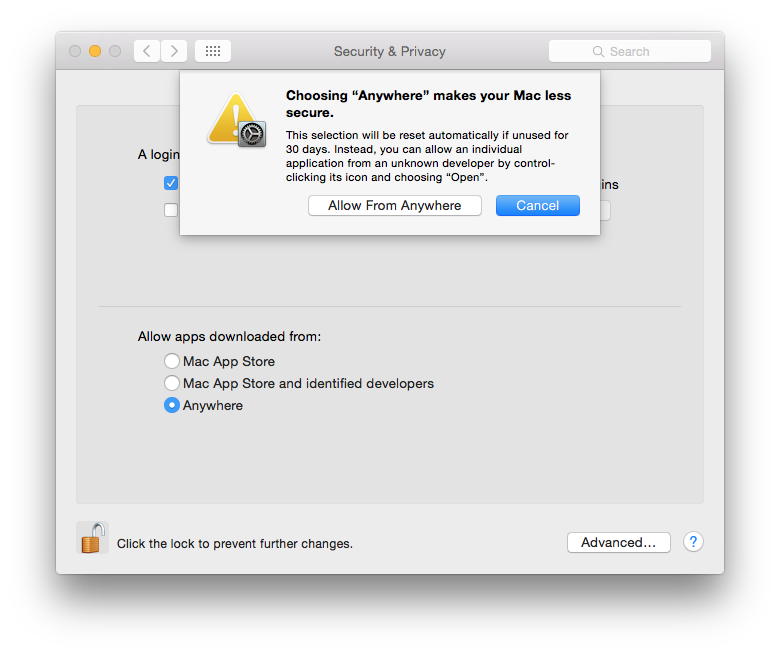 Step 1: By default, Mac only allows apps downloaded from Mac App Store. Click the lock icon at the bottom of left-hand-side corn. You need to enter the password to make changes. Step 2: Choose the option "Anywhere" under "Allow apps downloaded from". Then click the button Allow From Anywhere to confirm the change. You may also want to click the lock icon again to prevent further changes. 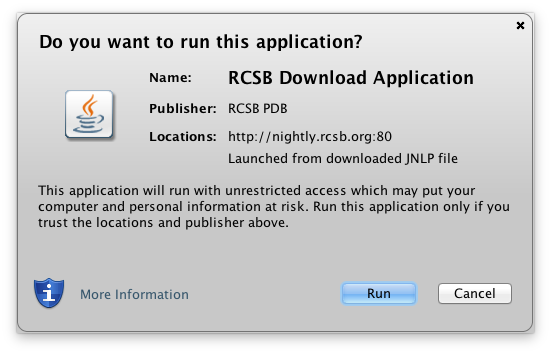 Step 3: Locate download_rcsb.jnlp and double click it to launch the application. When you launch the RCSB Download Application for the first time, you will see the following message. Click Open to run the download application.